The shield was an important part of Greek battle tactics, and it was rare for a Greek warrior to ever go into battle without one. 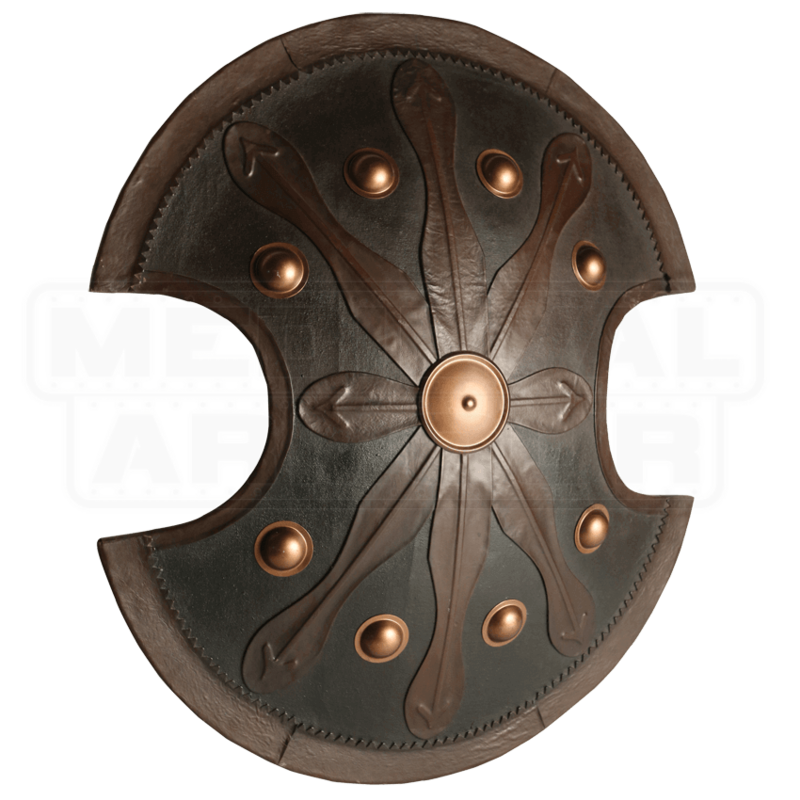 The Trojan War Shield is an effective and reliable shield, one that is modeled after those used by the warriors of Troy. Like a classic Greek shield, this defensive piece has a rounded shape with two half-circle cutouts on the side. The front of the shield features central brass boss with matching brass metal studs arrayed around it. Several arrow-like spear designs are also embossed onto the surface of the shield. It is crafted from wood with a linen and leather covering. The back of the shield sports a D-shaped handle, as well as an attached cord, which can help customize your hold and how you carry and wear the shield. 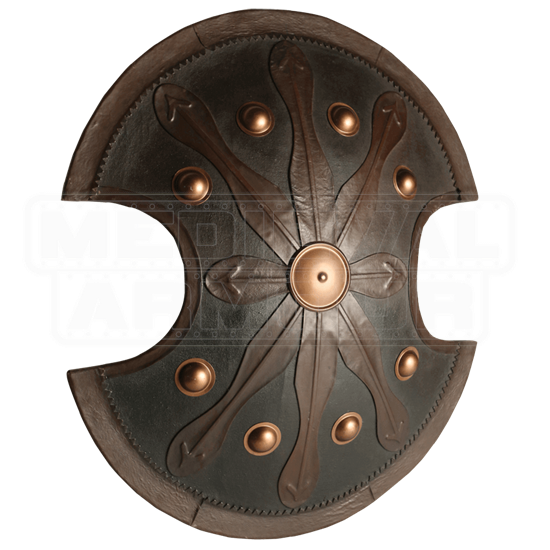 Like a shield should be, this classic Trojan War Shield is made to be defensible and maneuverable, making it a great piece to carry at your side whenever you go into battle equipped as a Greek warrior (or even better, a Trojan). It would also make an impressive decoration in the study of any history enthusiast who has a passion for Greek and Trojan equipment.